Sign up for Mac News! 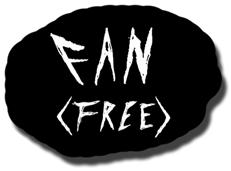 FAN membership is free. This membership will include digital fan club newsletters, online fan club access, straight to your inbox new Mac videos/promo/mp3s, the most up to date reports on Mac and his crew, Mac animated gifs, Mac wallpaper, meet & greet opportunities, access to fan forum chat rooms, exclusive contests, plus many more surprises to come. View our complete Terms of Service.